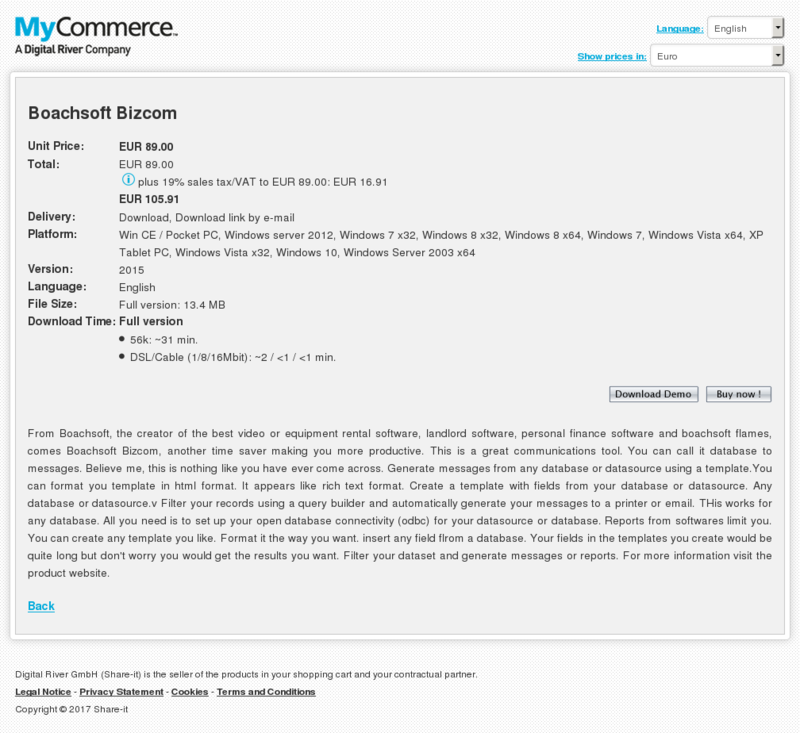 From Boachsoft, the creator of the best video or equipment rental software, landlord software, personal finance software and boachsoft flames, comes Boachsoft Bizcom, another time saver making you more productive. This is a great communications tool. You can call it database to messages. Believe me, this is nothing like you have ever come across. Generate messages from any database or datasource using a template.You can format you template in html format. It appears like rich text format. Create a template with fields from your database or datasource. Any database or datasource.v Filter your records using a query builder and automatically generate your messages to a printer or email. THis works for any database. All you need is to set up your open database connectivity (odbc) for your datasource or database. Reports from softwares limit you. You can create any template you like. Format it the way you want. insert any field flrom a database. Your fields in the templates you create would be quite long but don’t worry you would get the results you want. Filter your dataset and generate messages or reports. For more information visit the product website.